Which TV Show’s Season Finale Would You Most Like to Attend? I’m incredibly excited about something I never really thought I would be excited about. I watch quite a few shows–or parts of shows–that involve live studio audiences. The various late-night talk shows, the season finales of competitions like Top Chef and American Ninja Warrior, some sitcoms, the Super Bowl, etc. Only a handful of times have I been watching one of those shows and though, “I wish I were there.” I think this stems from my desire to watch things from the comfort of my home, at my own pace, with a fully edited experience and without crowds. I like it that way. But then a friend revealed that his brother helps to execute the season finale of Survivor. I love Survivor. It’s 37th season just began, and I’m just as enamored by it–if not even more so–as I was in 1999 for the first season. At the end of each season, there is a 3-hour episode that about 400 people get to experience live with the host and the contestants. 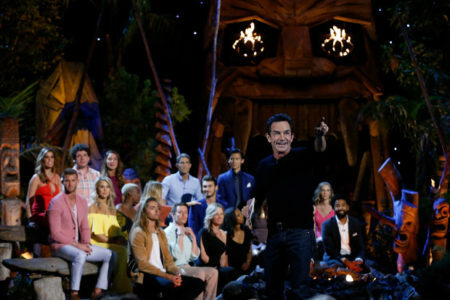 The first 2 hours are mostly filmed footage from the contestants’ last few days on the island. After that, it transitions into a reunion show where the winner is revealed and Jeff Probst talks to the contestants about their experience. It’s peak entertainment for a Survivor fan like me. And this season, I WILL BE AT THE FINALE. That’s right. My friend was able to get me 2 tickets to the finale (I’m going with an old high school friend, another huge Survivor fan). I’ll be traveling to Los Angeles in mid-December. If you haven’t watched Survivor, maybe now is the time to give it a try. Maybe you’ll even catch a glimpse of me on camera at the finale! Is there any TV show or season finale that you’d like to watch live? This entry was posted on Monday, October 1st, 2018 at 8:16 pm	and is filed under television and tagged with television. You can follow any responses to this entry through the RSS 2.0 feed. PS: This season looks very interesting. I think I enjoyed the first episode of this season more than the last couple of seasons’ first episodes. Although I did find Jeff Probst’s on-the-boat introduction a bit heavy-handed, although I acknowledge that it might have been necessary to set up the season for viewers of different educational and cultural backgrounds. I love Survivor, I’m so glad it’s back on! OMG I am so excited for you! I will watch for you!!!!! Let us know where you will be sitting. I love Survivor so much, and use its information is power strategy in my personal life (only for good). How cool!!!!!!! !